Kalevala (pronounced Kal-ev-al-a) is an epic work of literature compiled by Elias Lönnrot (pronounced Lern-rort) in the 19th Century. Kalevala covers all aspects of human life – love, desire, hatred and envy. It holds the People’s stories. 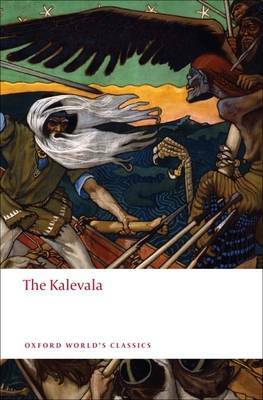 Listen to Nick Hennessey’s Radio 4 broadcast about Kalevala. Elias Lönnrot travelled extensively around Finland and Karelia (a region now divided between Finland and Russia) visiting the runosong (folklore) singers, listening to and “collecting” their ancient songs. Traditionally, runo singers would choose to sing any number of traditional songs or stories in any order, creating a different experience every time – Finland’s oral tradition is the envy of many nations! The artists in Fire in the North Sky bring Kalevala back to its oral roots and like the runo singers, have selected a number of different and not necessarily sequential stories to include in this production. The artists improvise and each show will vary depending on the audience, the venue, the interaction and atmosphere on that particular day. WH Auden said that poetry makes nothing happen; this is profoundly untrue in the case of Finland. Swedish was the official language of Finland for centuries right up until the late 19th Century, and the country declared their independence in 1917. Kalevala, published in the Finnish language, is widely regarded as the national epic of Finland; it is a cultural treasure and considered to be instrumental in the development of Finnish national identity. Elias Lönnrot’s journeys to collect thousands of lines of oral folk poetry make him incredibly important to Finland and its birth as a nation state. Kalevala is 23,000 lines long and has been translated into over 50 different languages. As a piece of world literature, Kalevala’s mythical themes and poetic style have been a fundamental influence and inspired untold numbers of artists, writers and composers, including J. R. R. Tolkien, Longfellow and, most famously, Jean Sibelius (Lemminkäinen Suite, Kullervo) whose 150th anniversary is celebrated in 2015. 2015 also sees the world’s first publication of Tolkien’s The Story of Kullervo, which is based on a story from Kalevala and seen as the foundation stone of Tolkien’s invented world. Kalevala is studied by school children in Finland and can be regarded as a British school child might regard Shakespeare. A Finnish audience member that came to one of Fire in the North Sky’s previews in 2014, said how the performance brought their classroom-studied stories and characters wonderfully to life, creating an exciting, relevant and vibrant experience.